I was recently reading one of Scott Young’s blog posts which he wrote a few years ago, in which he argues that smart people like solving complicated problems, and that when faced with a problem that is difficult, but doesn’t have a complex answer, they invent complexity. Instead of focusing on the essentials and making progress, they become trapped in irrelevant details. Learning a language is, of course, no easy task. It is, obviously, a pursuit that is time-consuming and that requires a fair amount of dedication and motivation. When we get at it for the first time, it is quite intimidating. We’re not sure where to start, what to do, and how to do it. But if you think about it, it’s not that complicated: read, listen, speak. There you go. The secret of learning languages, handed to you on a silver platter in three short little words, or a grand total of 15 letters. The order is up for you to sort, but believe me, you only need a little more digging before finding your own personal Rosetta Stone. If you listen to polyglot Steve Kaufmann, he’ll tell you that the secret to learning languages is to listen and read a lot, and then speak when you feel you’re ready. If you listen to Benny the Irish Polyglot, he’ll tell you that the secret is to speak from day one, and to pair your speaking practice with a lot of listening and reading. Countless other polyglots basically come up with a similar conclusion: read, listen, and speak (in no particular order, although they often battle out to tell you which order is the best. Hint: whichever one works best for you), and don’t complicate yourself too much with rules and courses that slow you down. Now, your friendly stockbroker will tell you that investing in stocks is a decision that only a seasoned financial planner (preferably with a Ph.D. or two) can do for you. And the ones that come up with diet programs and books will make it seem impossible to lose weight unless you seek their advice: that is, spend thousands of dollars on personal coaches, buy a bunch of pills and supplements, and regularly keep up with the latest trends and fads. And finally, the language learning professor will make sure to teach you all the rules that they think you need to learn a language, and they will make sure that it looks so complicated that you would never dare to do it alone. You’ll enter the fantastic world of grammar, conjugations, verb tenses, pronunciation drills, and fake conversation practice—and we’re just seeing the tip of the iceberg. Of course, it’s natural that so-called “experts” in every walk of life will try to sell you their services, and the only way for them to achieve this end is to convince you that you need them. Now, I am not saying that language classes are useless. I am not one of those who advocates avoiding grammar like the pest, or doing everything on your own. In fact, many successful language learners, such as Richard Simcott, seem to have learned languages successfully, at least partly through sitting in a traditional classroom environment. Earl W. Stevick, author of “Success with foreign languages: seven who achieved it and what worked for them,” says at the beginning of his book that when he began interviewing 7 remarkable language learners, he was hoping to find out what the successful learners did alike. If he could teach their secrets to his students, he thought, then everyone else could become as successful as the people he had talked with. But it turns out that out of all 7 polyglots interviewed, none had learned a language the same—or similar—way. What I’m advocating is to clear our heads of all the clutter that we are fed, and to think twice about what really works for us. Is learning a language really that complicated? The solution might be simpler than you think. And believe me, if you are motivated enough, nothing will stop you from doing it on your own. Classes can certainly help, but you should not limit yourself to their framework and their way of doing things. Doing so could severely slow down your pace, potentially convince you that you are not “talented” with languages, or worse, push you to give up because it’s too boring. What If I’m a Fish, Not a Monkey? As I mentioned in my first blog post, I believe that we all learn differently. A famous quote by Einstein goes like this: “Everybody is a genius. But if you judge a fish by its ability to climb a tree, it’ll spend its whole life believing that it is stupid.” Traditional language teaching methods are by their nature designed to work for one main type of people. Depending on which school and method you try out, the type of people they work for may vary, but language schools are, generally speaking, overwhelmingly similar in form. They are often good for those people who need guidance, rules, grammar, and a fixed pace of learning. If we keep the analogy from the quote above, we could say that this is the method that works for monkeys (no offense intended). But, what if you’re a fish, not a monkey? You may think you’re a monkey, because that’s usually what we’re told in school and in classrooms. But… what if… you’re not? What happens when a fish is judged by its ability to climb a tree? What do you think? 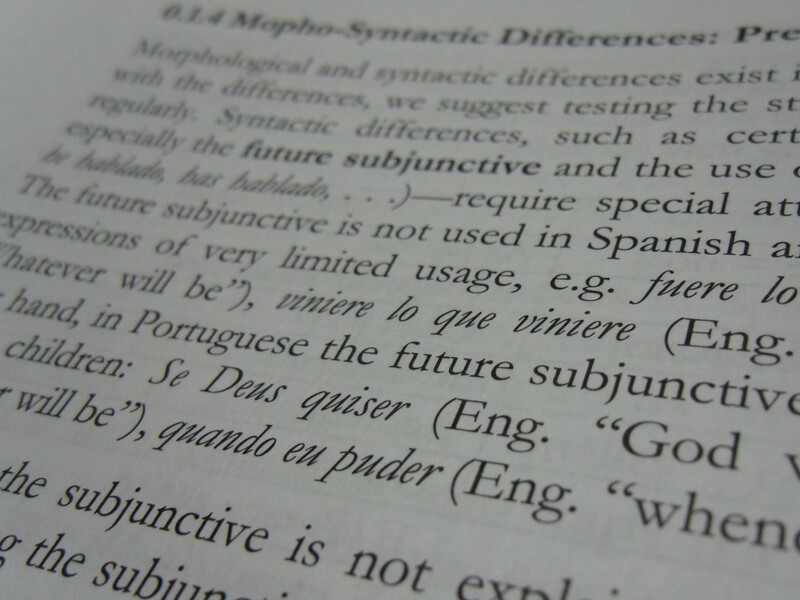 Is language learning as complicated as it is often portrayed? And do you believe that most people have the ability to learn a language, at least partly, on their own? Remember: “Catch a man a fish, and you can sell it to him. Teach a man to fish, and you ruin a wonderful business opportunity.” Few people would dare to teach you how to fish. After all, their salary is on the line. I remember reading that post by Scott Young too. I think that in my experience we create the complexity because we don’t know enough about the field to know what is absolutely necessary for learning. In general I think it’s best to go through this complexity, however, because it gives you a greater appreciation of what works and what doesn’t. In terms of learning, I think that we all learn in similar ways simply because of the biological constraints of the ways our brains our wired– at the level of the structure of our brain connections where all pretty much the same.